The Movi Smartphone Cinema Robot is a new item on the market designed to turn your iPhone and yourself into a professional level film maker. The tech behind it is really savy and brought in by its creators that used it in such movies as Marvel’s “Civil War”, Academy Award Winner “Lion” or the action thriller “San Andreas”. The mandatory app that goes with it enables you to get in full control of your iPhone’s camera and extract its full potential. 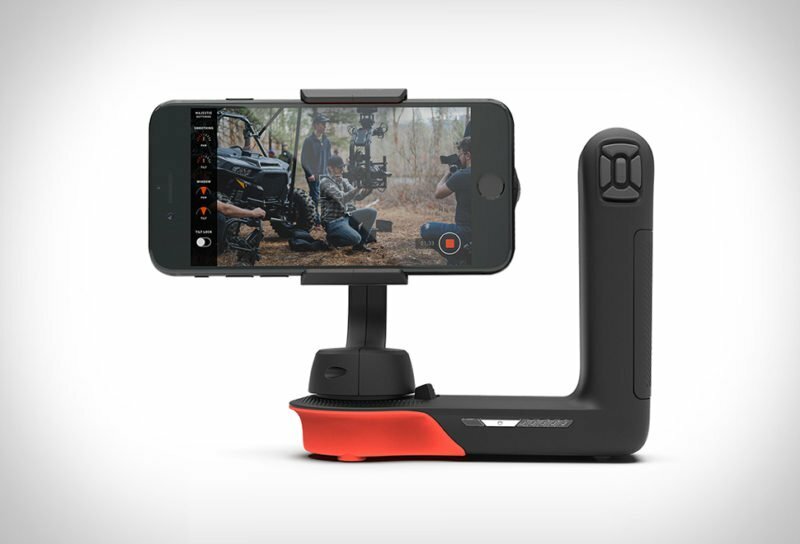 The ergonomic and generously sized gimbal with rubberized grips and buttons enhances stability and movement control, plus the proprietary software produces an improved image and motion reduction making smoother footage. You also get several pre-loaded shooting modes to best fit your needs such as echo moving, time-lapse, or majestic, among others, for a more cinematic look. It communicates with your Apple phone via Bluetooth so no cable hassle.